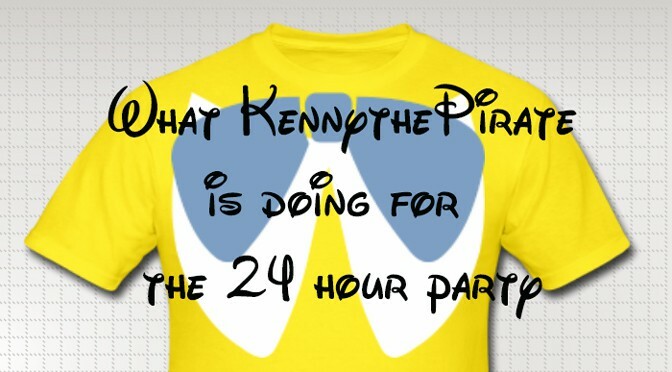 What will KennythePirate be doing for the Rock Your Disney Side 24 hour party? What are we doing for the 24 hour party? I’ve asked a few times what I’ll be doing for the 24 hour party that is know as “Rock Your Disney Side.” Will I be attending? Will I spend the entire day? 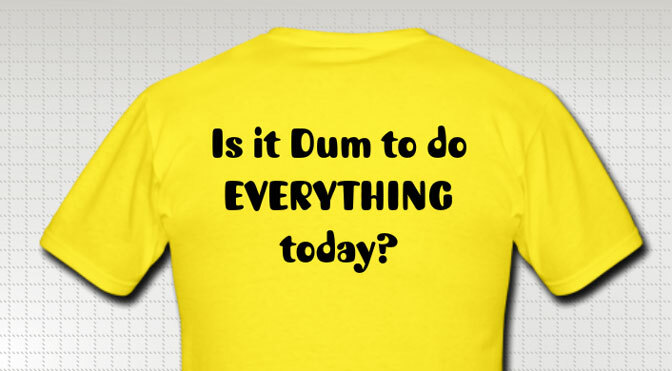 Will I wear a costume? Those are all great questions that I’ve kept pretty secret until now. Many of you know that I’m sort of good at the Ultimate Tours that Touringplans.com created a few years back. My family and I currently hold the top spot in the Hall of Fame complete tours in all four parks. We hold 4 of the top 5 complete Magic Kingdom Ultimate Tours and our best effort was 82 attractions on Leap Day 2012. From the attractions that were open that day, we only missed a couple of Sorcerers of the Magic Kingdom missions and the Frontierland Hoedown (bonus attractions). We got hung up by the 3.5 hour wait to meet Rapunzel and Flynn during the party time. We know we can do better, because there are a good deal of attractions that are now open that weren’t open in 2012. Our goal in 2014 is more than 100 attractions in a single operating day! It would be the first time anyone has exceeded 100 attractions on an ultimate touring plan, if we are successful. A number of things may hinder a completed tour including weather, attractions closing and injury. We’ve had all these happen at different points in different tours. What it means: Attraction Number, Current posted wait time, Time in line, Time on Ride, Time out of ride and if we used FP+ to ride it. This is all data that is required to submit the completed tour. Not only will this be the first tour for us to post to my Facebook during an Ultimate Tour, but also the first time we’ll post photos and short video clips here on the blog along with updating our status occasionally. We hope you’ll follow along with us and enjoy some Rock Your Disney Side fun! How are we handling the battery needed? I just upgraded my phone to the new Samsung S5 and I have two additional back up batteries for this already powerful phone. We’ll also bring two juice packs, just in case we need them. What does our packing list look like? Quarters for the arcade game. We plan to arrive at the Magic Kingdom by 5:30am and watch the Magic Kingdom Welcome Show, we’ve schedule FP+ for early in the morning so we can get more through the day. We usually grab some chicken nuggets for dinner while watching Sonny Eclipse, but otherwise we keep moving pretty much all day and won’t leave until the park closes the next morning. If you see us, please cheer us on! I’m planning to hit this from about 8am until about 1 pm. What would you guess I’d be dealing with crowd wise. My daughter and I stayed (awake and on the move!) the whole 24 hours for the Leap Day event and last May’s event so we are confident we’ll make it the whole time this weekend too! We’re so excited – driving down from ATL tomorrow and checking in Pop to get a good night’s sleep . Each time we managed to do about 50 attractions but we weren’t trying to rush or anything. I’ve seen so many comments about the past events saying it was too crowded, waits were too long, lines for food too long…..I guess they’re all wimps because we had a blast and rode stuff repeatedly. LOL! Cheers to all us All-Nighters! We did 82 attractions on Leap Day with the only waits for characters. It’s more a matter of planning or enjoying the early mornings for rides. Does anyone have a data sheet they would like to share? I’m planning for my team on Friday. What type of Data Sheet do you need? Something to record your attractions you visit? I could easily create one in excel. I use an app that my brother created. How many are in your team and what goal have you set for yourselves? Kenny: What type of data sheet do you use? I was thinking of a data sheet with my order of attractions on it, perhaps starting with an Excel spreadsheet with the must-do’s and optionals on a per-hour basis. Does that make sense? I have one challenge (AK) under my belt. My goal is to complete the tour, stay all 24 hours, stay healthy, and make the top 10 as it stands now. My real goal is to beat KennyThePirate, but that’s not realistic. :) My email is uknowbeers on y’s mail. Did you put all those entertainment/character options/times on a single sheet already? If you’re willing to share with a competitor that would save me about an hour of work. And you made a custom app? Why not sell it? :) I assume you also have multiple copies of the tasks required by TP to prove you visited an attraction. I think we’ll write our data in a notebook (same book as autograph book) so we aren’t dependent on cell phone batteries. The app used to be on the Android market for free, but we pulled it because it was too much work to update and make nothing on it. Didn’t see enough downloads to justify a paid version. He basically made it just to help us do Ultimate Tours and keep fans informed. Sorry, but I won’t be sharing my data sheet prep in advance. Far too much work involved just to give it away. It took me way more than one hour to create my plan. I took the list of attractions that they require and provide as options and created my own plan that includes the FP+ that I’ve chosen and ones I hope to do at certain times with all the extra ones at kiosks. Is this your first Ultimate? Kenny, this is my first MK Ultimate, but I did the AK Ultimate last year. I wouldn’t expect you to share your full itinerary. If anyone has a spreadsheet with the times on it as a baseline, then that’d be a start. That was my hour-long work prediction. It will take much longer to add the predicted times, etc. Did you modify the app to remove the FP return time from your Tweets and data? Hope to see you there. It seems there will be nothing for the kids during the day, tell me this is not true? Villains will only appear for Move It Shake it during the day. I’d bet that people will line up as early as Disney allows them to meet Maleficient and Snow Queen. Not sure what time that will be though. That’s a disappointment. We’d planned to leave by midnight, as we have to be leaving our resort by 9am to drive to a family reunion 3 hours north. Way to go! I told my husband about your ultimate tour on Leap Day and he threatened to divorce me if I even so much as thought about trying to match it ;) hope we see you there! I will be there with my daughter Jordan too! :) Hope to see you to say hi! 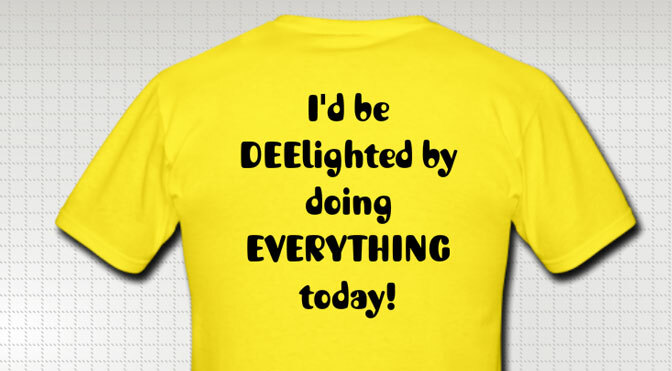 We will definitely be on the lookout for you to shout out some encouragement. Good luck! You guys are so fun! Thanks for sharing. Good luck! I look forward to following along! Go, Kenny! I’ll be flying down on Thursday and hope to see you running through MK so I can cheer you and your daughter on. What a great memory! Go KtP and Co. go! Wow have fun! I wish I lived closer I would join you!